The video above was filmed in Tibet. The setting and the music is bewitching- beautiful temples in the background, an abstract flowing reading of the Jimi Hendrix composition "Villanova Junction." Does the fact that the guitarist is miming the performance for the video matter? The name Steve Tibbetts has little resonance to set out on a journey from. Yet the music that the Wisconsin guitarist (b. 1954) has recorded over the past 33 years traces a remarkable path beginning with fertile hybrids, travelling across the Atlantic to the Munich studios of ECM and ranging wider and deeper into the Far East, merging studio technology, impressive technical facility, imagination and feeling. 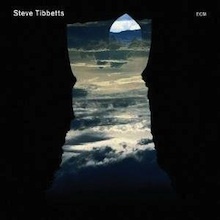 Over the course of twelve albums, Tibbetts has made extended use of modern recording techniques to create often dense collages of electric and acoustic instrumentation. For almost all of them, the percussionist Marc Anderson has acted as the guitarist's sensitive collaborator. Surrender to the temptation of crowd-based recommendations such as Last.fm's Similar Artists or Spotify's Artist Radio and you'll find the likes of Ralph Towner, John Abercrombie, David Torn, Bill Frisell and Robert Fripp listed as Tibbett's musical neighbours. They're all respectable suggestions, but they lack the ruthlessly subjective, the impulsive and the idiosyncratic. Instead, consider references such as Miles Davis' electric shaman Pete Cosey, tribal technician Jon Hassell, musical polymath Brian Eno and the sci-fi narrative of Weather Report circa I Sing The Body Electric. Useful as triangulation points though such examples may be, deep listening to Steve Tibbetts reveals his music to be a singular experience unheeding of comparisons. The music moves like quicksilver, awash with tidal ebb and flow. It changes pace within some tracks multiple times, tumbling forward one moment, pausing in quiet contemplation the next. There's a striking subtlety to Tibbetts' music and a strong, ongoing sense of it being the result of intense contemplation on the part of the composer. The main image it conjures for this writer is that of a sea-borne funeral pyre: at once rocking serenely on blue green waves and crackling furiously red and yellow. 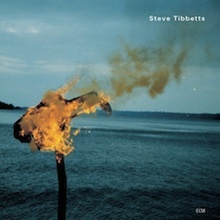 It's a personal variation suggested by the photograph on Tibbetts' tenth album, A Man About A Horse in which the guitarist's leather jacket burns in front of open water. There are no references to water in any of the 124 songs that make up his oeuvre, but three to fire: "Burning Up (Safe Journey)," "Burnt Offering (The Fall Of Us All)" and "Burning Temple (A Man About A Horse)." 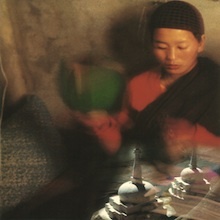 Tibbetts' twelve albums consist of eight recorded as leader since his debut in 1977 and three latter-day collaborations: Chö and Selwa with the Tibetan nun Choying Drolma and Å with the Norwegian hardanger fiddle player Knut Hamre. 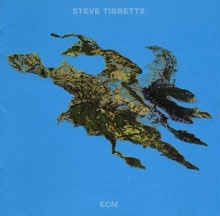 Tibbetts' work can be divided into five periods, the early experiments of the eponymous debut and sophomore album Yr (1976-80); the first four albums for ECM (1981-88) which begin with the bewitching stillness of Northern Song and navigate a span of alternating calmness and agitation with Safe Journey, Exploded View and Big Map Idea; the aforementioned collaborations and the two later works of eastern fire, The Fall Of Us All and A Man About A Horse (1994, 2002) and now, after a prolonged silence the new work, Natural Causes. 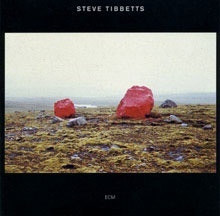 Tibbetts' eponymous debut contains many of the seeds of the oeuvre that would unfold. Beginning with a slowed down rumble, the four minutes of the appropriately named "Sunrise" comprise intricate picking and strumming with subtle accompaniment on synths and reverse tapes. 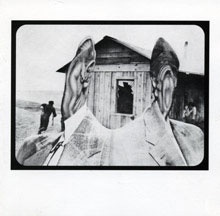 There's nothing showy in this first track, but also none of the American sentiment of Pat Metheny's American heartland approach. Instead, there's a sense of detailed forward motion and an earnest optimism. "Sunrise" cuts suddenly into "The Secret" - a less obvious affair in which wind noise mixes with exotic percussion, guitar parts loop and change speed, scraped strings echo and huge synthesiser sections rise and hover overhead like a Spielberg UFO. The one-minute-44-second "Gong" consists solely of sped-up and slowed-down gong sounds. Four years later and the music features Tibbetts' primary collaborator from this point forward, percussionist Marc Anderson. Anderson's credits are revealingly wide-ranging: congas, drums, bells, maracas, triangle, Surdo, bell tree, clave, Ago-go bell, cowbell and glockenspiel. Likewise the leader himself plays guitars, mandolin, dobro, sitar, kalimbas as well as providing the original cover art which, along with the music, suggests that punk's tidal wave hadn't quite reached Winsconsin. 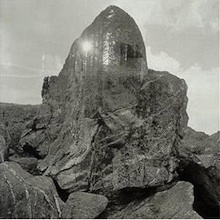 Tibbetts' sound is a unique and dense whirlwind of multi-tracked parts. 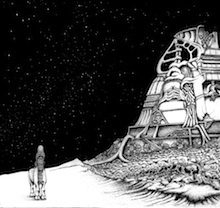 These are albums brim-full of imaginative sonic and musical ideas. 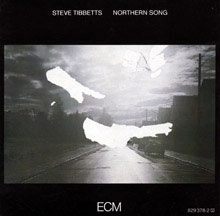 Northern Song marked a significant change in direction, guided in part by Manfred Eicher's sole production for Tibbetts. It's an album that the guitarist is said to have hated the sound of and which received poor reviews on its release. Three decades on, it's difficult to see why: the beautifully recorded music is, arguably, the most straightforwardly gorgeous of Tibbetts' career. Its sense of spaciousness and its sensitivity to silence make for a spellbinding experience. The music hangs chimerically like a cloud of sound cloud in the air. "The Big Wind" traces vivid streamers in a light breeze before returning to silence. Marc Anderson's percussion is a minimal, tremendously sensitive delight. What was once side two of the album is occupied by the incredible 22 minute composition "Nine Doors/Breathing Space" which at times seems to touch on the infinite, guitar notes eddying outwards into the light. It's astonishing. There's something of Northern Song's sense of spaciousness, but also a greater variety of approaches in the three albums that succeed it. Most notably, Tibbetts unleashes passages of flaming guitar on each album that are at once thrilling and distinctly liberating. Each time, as on Safe Journey's opening Test and midpoint "Vision," these solos appear like storms seen on the plains in the far distance which scour the landscape and eventually disappear over the horizon. Alongside these are magical stretches of near stillness such as "Night Again." Exploded View's opener, "Name Everything," begins with the sort of guitar solo likely to put huge grins on listeners' faces and cause not a few to want to dance around the room arms flailing. Marc Anderson's percussive foundation and the amount of space allowed it is absolutely essential to the music. Guitar and percussion make for a simultaneously stripped-down and remarkably powerful experience. Tibbetts' solo on "The X Festival" threatens to subsume everything. "It used to be that travelling was a complete paradigm shift, especially in traveling to strange places. It's like taking out your brain and hurling it as far as you can. Putting your mind in a slingshot and firing in a random direction. Travel is a cheap and easy way to give yourself a mental earthquake and rearrange the tired old topography a bit. At first hard travel to strange places had the effect of pulling the pilings out from under my mind; always good for people who traffic in creative work. Then I got used to going to strange places and the effect softened. There are, of course, obvious ways travel influences music. One way is that one is simply away from music. Then, the music one encounters has more of an effect. I found this to be true in traveling in Java and Bali (gong cycles) and being stuck in Sikkim when I had visa problems (Tibetan monastic longhorns near Gangtok). It's good to get away from your studio, bandmates, and instrument for a few months every year and let some other kind of sound have an effect. Sometimes travel has an effect that boomerangs back years later. I am quite sure that the image of Mt. Kailash from last summer's travel is going to haunt me in all sorts of interesting ways for years to come. Much stronger is the effect of solitary retreat on the mind and music.It's very interesting to see how the mind reforms itself in isolation, and after 4-6 weeks away from humanity altogether." "I noticed that my mind would always settle on some imagery to go with the music. Sometimes I would follow the imagery, and let it help direct the music. Later, I noticed this sort of thing happened all the time, not just in the mixing stage. Make a sound, see a form. Other artists have told me it happens to them as well. Draw a line, hear a sound." After a six year silence, Tibbetts returned with striking ferocity. Opening track "Dzogchen Punks" is aggressive, intense and fast-paced as Tibbetts tortures his guitar into wails of feedback. His playing is continually harassed by Anderson's battalions of drums. Even the quieter passages are darkened by brooding atmospheres, as though they were recorded in the shadow of petrochemical plants. The earlier albums' sense of natural optimism is lost, replaced by a sense of foreboding. Titles such as "Hellbound Train" and "Glass Everywhere" serve to underline these impressions. Despite, or perhaps in large part because of this, the music is thrilling, each subdued lull a tense waiting ground for the next distorted crescendo. The second half of The Fall Of Us All is acoustic, providing a counterpoint to the fiery attack of the first half. It's as though a sense of exhaustion has set in. "All For Nothing" proves to be a revealing title, but gradually the music renews itself once again to achieve a sense of contemplative, hard-won peace. A Man About A Horse is less overtly fiery, but it still manages to achieve a deep sense of darkness. "Black Temple" is warlike, angry and determined- at times, it sounds like armies marching. "Burning Temple" surveys the aftermath of violence with morbid wonder while "Glass Everywhere" picks over the wreckage looking for salvation. Show gratitude to chance - or fate - for these collaborations. That's how they came about. Tibbetts met and recorded the Buddhist nun Chöying Drolma at a monastery in Nepal. On his return to America he added his own parts and sent the tape to Rykodisc and to Chöying as a gift. Tibbetts makes for a modest producer, his contributions are understated, creating rich, at times magical, settings for Drolma's voice without in any way obscuring or distracting from it. Tibetan music has been ransacked to signpost easy spirituality, but Tibbetts is here more interested in creating a hybrid of two creative approaches inspired by distinct practices and traditions. Some of the sense of space and silence heard in the earlier albums (and lost with The Fall Of Us All) can be heard again here. Å is Chö and Selwa's darker sister. As with those two recordings, Tibbetts works as foil to leader Knut Hamre whose hardanger fiddle provides a drone-like consistency, but one that reveals much filigree detail. The music, recorded in a Norwegian church, sounds part immersed in the endless arctic night and part illuminated by the midnight sun. Å imparts a sense of delicate, warm melancholy. "We spent about 10 days recording with Knut and Turid in a small church in Utne. Every morning we would board a ferry to cross the fjord from Granvin to Utne... The distant sounds of the ferry or fishing boats ("fiske boats") sometimes crept into the recordings. Knut's wife Aud would pack a lunch of lefse, coffee, and goat cheese for us. At the end of the day, we'd get the ferry back home. On the ferry, or drinking cider waiting for the ferry, we'd talk about the lore that swirled around the instrument, its players, and the subjects of the songs. A lot of the songs are about Huldres, mythical mountain beauties who come and sing songs to fiddlers asleep under trees. "Underground people," Turid called them." "... Knut said, "I remember a song, a song is coming." He unpacked his fiddle, we set the microphones back up, and everybody sat down and listened while we recorded him. Knut seemed to invoke something... The wood grain in the walls started to crawl." "This project started from the dark side probably because of an illness in my family. I went to my studio every day like a good worker, and stayed for six to eight hours, but found it hard to put anything coherent together. Sometimes, just like projects, mind sets take their own momentum. In order to break out of this rut (or to try) I studied piano, and I worked on extremely short compositions on guitar. But it started shadowy, and ended that way. Sometimes you just get on the train and ride." "You can plan a strategy in writing, in making a film, or in creating a sculpture. You can adopt some kind of plan in music, but since it seems to be the most abstract of the arts, it often charts its own course, and the best musicians seem to be able to drop any agenda and play along with the muse... I wasn't worried about making music that resolved itself into a form so much; that's a progression, or a de-evolution." 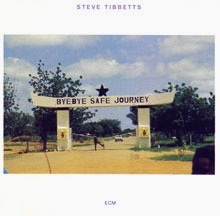 Steve Tibbetts' oeuvre is criminally undersung, There's barely a handful of images of him to be found on Google. 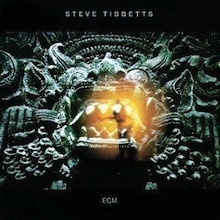 For its openness to distant horizons, its exploration of studio technology's imaginative potential, its instrumental facility and sheer beauty, Tibbetts' music deserves much wider recognition. As well as a great pleasure, it feels like a privilege to be able to survey a span of work such as that recorded by Steve Tibbetts over a period of more than three decades. Where beauty and silence quickly became central elements of the music after the first two albums' youthful exuberance, passages of anger and darkness have gradually cast shadows over the later music, while a sombre sense of the passage of time and ultimately of mortality suffuses Natural Causes. We swim in oceans of music. Many musicians and listeners move in ever smaller circles, swim in a straight line or disappear over the horizon never to be heard from again. A small number master the currents, learn the influence of the moon, tides and storms. Steve Tibbetts is one of the few.